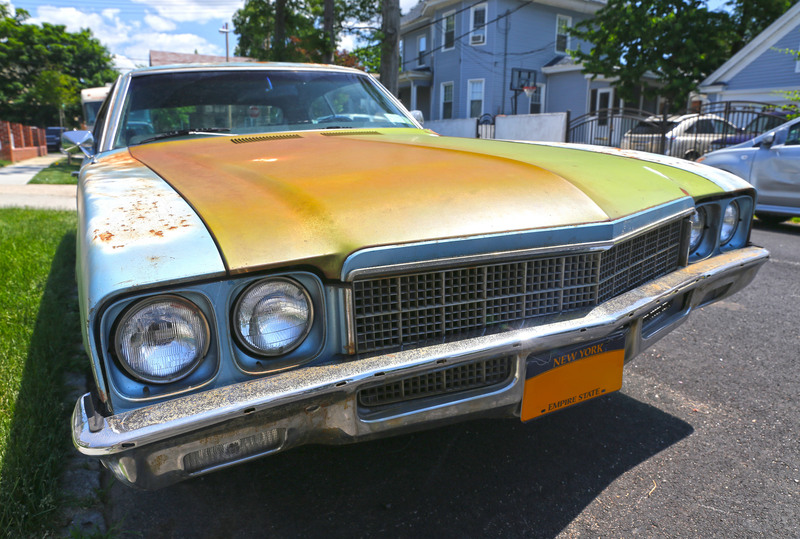 "1972 Buick Skylark" by Vetatur Fumare is licensed under CC BY-SA 2.0. No changes were made to this photo. If at any time you are unable to locate an answer to a question, feel free to give us a call at 855-WFSU-123 or 855-937-8123. It's that easy! What are the benefits of donating my car to WFSU? WFSU benefits by receiving a cash donation to fund new and existing programs and increase community awareness through local events. Does my car have to be running to donate it? In most cases we can take your car, running or not. However, it must have an engine and be towable. Contact a representative at 855-WFSU-123 (855-937-8123) to find out if your vehicle qualifies for pick-up. 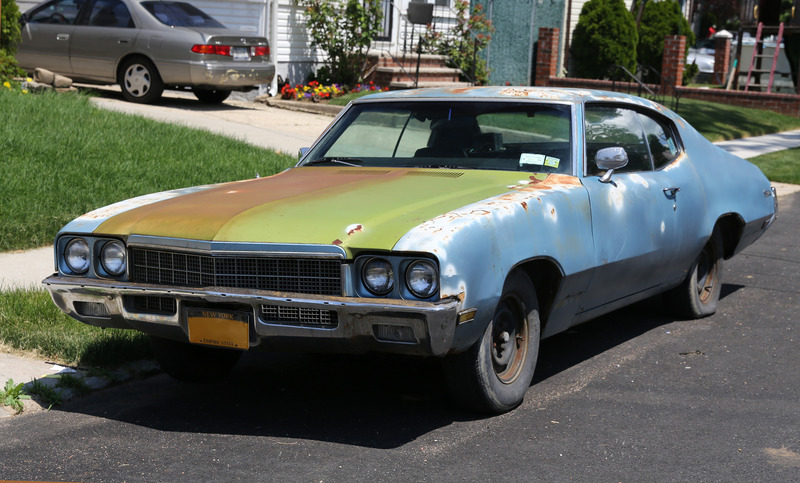 Do you only accept cars for donation? Many types of motor vehicles are accepted including airplanes, boats, motorcycles, trucks, and cars. If you are uncertain as to whether or not your vehicle is eligible, please contact the vehicle donation program toll free at 855-WFSU-123 (855-937-8123). How long will it take to pick up my vehicle? We make donating your car as simple and convenient as possible. A tow company will contact you within two to three business days after completing a record of the donation. Call our representatives at 855-WFSU-123 (855-937-8123). What paperwork do I need? The only paperwork needed is a signed, clear title. We would prefer that you have your title with you when you call-in your donation. [Please note: a clear title indicates the title is in the name of the donor without a lien]. What type of receipt will I receive for my vehicle when it is picked up? When your vehicle is picked up, the tow truck driver will give you a document called a “donation receipt.” The donation receipt is a legal document and should be kept. Do not allow your vehicle to be picked up unless you are given a donation receipt unless other arrangements have been made in advance. If you have any questions about this please call our toll-free number, 855-WFSU-123 (855-937-8123). What if I receive legal notices? In the rare event that you receive any notification of a lien sale, DMV actions or other activity related to your donated vehicle, please contact us at 855-WFSU-123 (855-937-8123) immediately for assistance. Will I get a tax receipt for my donation? Yes, our driver will issue a donation receipt at the time of pick-up. This is not the final tax receipt if the sale price of your vehicle exceeds $500. This initial acknowledgement will indicate the donor’s name as well as the year, make, model and condition of the car being donated. It will be the only receipt if the vehicle sells for $500 or less. If that happens, it is up to the donor to determine the value of their deduction as long as it is $500 or less. How do Federal vehicle donation laws effect my tax deduction? For vehicles that sell for more than $500, donors are no longer responsible for determining the deductible value of their donation. Instead, they will receive IRS Form 1098-C, Contributions of Motor Vehicles, Boats, and Airplanes if the proceeds from the sale exceed $500, stating the amount of the gross proceeds from the sale of the donated vehicle. The amount listed on IRS Form 1098-C, Contributions of Motor Vehicles, Boats, and Airplanes will be the gross proceeds of the deductible donation. What can I claim as a deduction? According to the tax law effective January 1, 2005, if the claimed value of the donated vehicle exceeds $500, the taxpayer is limited to the gross proceeds of the sale.